Where in the world you live, can have a big impact on the opportunities, if you want to make money on paid survey sites or GPT (get-paid-to) sites. Some countries just have better and more opportunities than others. To get the most out of making money this way, it is therefore important to find the right sites for your country. But what are the best online survey sites to join, when you live in India? In this article I will show you the best paid survey sites for India in 2019, and show you what each of them offers, so you can easily see which ones are worth joining for you. If you are not from India, you can instead check out my list of the best sites for other countries. Before we get to the top sites, let’s first look into some things that are important to know to get the most success with paid surveys and GPT sites in India and to earn the most. Let me reveal right away that India is not the country with the most opportunities when it comes to online survey sites. But that does not mean that there are not good opportunities, because there definitely are some great and high paying survey sites to join in India. There are A LOT of sites you can join, but that you can join a site, does not necessarily mean it has good options for India or good options in general. Some sites might be great in one country, but do just not have many offers for other countries. That is just how it is, and no matter where in the world you live, you have to find the best sites specifically for your country. When you find the legit and genuine sites that actually pay and have a good amount of opportunities, it can be a very nice way to make some extra cash. Just be aware that no matter where in the world you live, paid surveys is not a way to become rich. If any survey site is promising you this, it is most likely a scam site you should stay away from. Obviously, you can make money by taking online surveys and sharing your opinion on survey sites, but there are also often several other ways you can make money, which some people unfortunately sometimes overlook and potentially miss out on some great opportunities. The survey sites that have other options as well are often called GPT (get-paid-to) sites, as you can get paid for a number of things. For India, this is very interesting as there might be some sites that do not have a lot of surveys for you, but where the other options are good. So it is a good idea to not only go for the surveys but also some of the other options. It can, for example, be to watch videos, click ads, take online offers, download apps, play games, etc. For India, I also, in particular, want to mention one option that some sites offer, which is Figure Eight tasks (previously know as CrowdFlower). These are small online tasks that anybody can do. In the beginning, they do not pay much, but as you build trust, you get access to more and better-paying tasks, and this can be an excellent way to earn on the sites that offer it. So if you are a bit patient with these tasks, in the beginning, they can really be worth it. To increase your chances of earning, it is a good idea to join several sites. 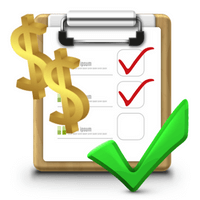 Around 5-6 sites is a good amount if you are not used to doing online paid surveys. Once you get familiar with those platforms, you can join more, but if you join them all from the start, it can be overwhelming and difficult to give each platform the time it needs for you to take full advantage of them. The list below is not a complete list of all the survey sites that are available in India. As mentioned above, not all sites that are available will actually have good opportunities and not all sites are legit. The below is, therefore, a list of genuine online paid surveys in India, and only has the top sites on it that actually will pay you. They are of course all free to join and use. You will be able to see what kind of opportunities they offer, and if they offer to pay in cash, gift cards, or something else, so you can easily find the sites that fit you. The list will regularly be updated, so make sure to bookmark this site and check it for new opportunities once in a while. Toluna Influencers is a worldwide survey site, and it is also available in India. It has a good amount of available surveys, and a really great thing about Toluna is that it has a site specifically for India with opportunities just for you, if you live there. It also has a community, where you can create content yourself, and vote for other peoples’ content. You can earn by voting for other peoples’ content, and if you create content that is interesting enough, you can also earn by doing this. Toluna is very easy to use and a site that you should definitely check out. You can get paid through PayPal, gift cards, or get products. Online Panel NET is a fairly unknown survey and GPT site, but it actually has some pretty good ways to earn in India. You can earn by taking surveys through several providers, take paid offers, do micro-tasks, and more. At first, it just takes a little time to learn to navigate, but once you have learned this, it is one of the sites that is worth checking out if you live in India. Once you have earned $10, you will automatically receive your money through PayPal. Viewfruit has an Indian survey panel with a good amount of paid surveys. It is easy to join and easy to use. Once you have signed up, you will start receiving survey invitations. And the site itself, you can also find a few more options like voting for polls, creating polls, chatting with other members, and you can invite friends to join your survey team to earn extra. Like on all other survey sites, you will not qualify for all surveys, so do not give up, if you do not qualify for the first you try. In general Viewfruit is a very good survey site to join in India, and has more opportunities than most others. Furthermore, it does not take long before you can get paid, as you only have to earn $5, before you can get paid in cash through PayPal. ClixSense is one of my overall favorite survey sites. You can earn by taking surveys, inviting friends, taking offers, through the daily activity bonus and by doing Figure Eight tasks. For India there are a decent amount of surveys, but even when there might not be so many available for you, it has several other good options. Especially the Figure Eight tasks can make you some good money, if you are persistent and build trust to get access to more and better paid tasks. ClixSense also has some great bonuses for Figure Eight tasks, as you will get $5 bonus every time you have made $50 on the tasks. Furthermore, there is a weekly task contest, where you can win up to $50, and ClixSense is in general very easy to use. You can get paid in cash through Payoneer, Skrill, or use Tango Card, which will make it possible to get gift cards to for example Big Bazaar, Amazon India, MakeMyTrip, and more. Definitely a site worth joining, if you live in India. OpinionWorld has a separate survey site just for India. It is very easy to use, and once you have signed up, you do not have to login often, as you will receive email invitations when there is a new survey available. It is not a site that will give you surveys every day, but it still has a decent amount and it is a genuine and legit site to join, if you live in India. The payout threshold on OpinionWorld is around $5, and you can get paid through PayPal or gift cards. So it does not take too long to be able to get your first payout. WowApp is an interesting platform where you can earn in many ways from India. Even though it is called an app, you can access it from all devices. You can, for example, earn by taking paid surveys, play games, watch videos, by calling and chatting, and it gives cash back in a lot on Indian online shops, so if you sometimes shop online it can also be a great way to save money. You can get your earnings out in cash through PayPal, get them transferred directly into your bank account, use them for mobile credits, and more. It also has a social aspect to it and it is quite a different platform from most others on this list but definitely not less interesting. PrizeRebel is one of my overall favorite survey sites and online reward portals. For India, it is however not on the top of my list, as it does not offer as many opportunities as in many other countries. You can earn by taking surveys, doing Figure Eight tasks, participate in free contests, get free promo codes, and by taking online offers. If you live in India, you should not expect to get a lot of surveys on PrizeRebel. It is more a site worth joining, if you are interested in some other ways of earning that the site offers, but you will also be able to find some surveys there, but it will take a little more patience to find the ones you qualify for in India. You can get paid through PayPal already when you have earned $5 or choose from a big number of gift cards. Surveytime is a very easy-to-use survey site, and you can find a good amount of paid online surveys for India here and many of them give good rewards in relation to the time spent compared to other sites. Once you join, you have to fill out a short survey profiler. After this, you get access to a list of available surveys. You can see how long each survey will take. All surveys give $1, and once you have completed a survey, you get paid into your PayPal account right away (within minutes). FeaturePoints is a site that is very easy to use. From India it is not the site with the most opportunities, but you can still find some good extra ways to earn here. You can earn by taking surveys, downloading apps, and by watching videos. Some of the methods are only available through the user-friendly FeaturePoints app. A great thing about this site in addition to it being very easy to use is the very low payout threshold of only $1. So it should not take you long after you join until you can get paid through PayPal or get a gift card. Cinchbucks has quite a lot of different ways you can earn. Not all of them will be available in India, and at first the platform can be a little confusing but with some patience, you should be able to find a good amount. You can earn by taking surveys, taking offers, watch videos, and get cashback when shopping online. Cinchbucks offers great payout methods, and you should be able to find a method no matter your preferences. You can get paid through PayPal, Bitcoin, or gift cards. SurveyRewardz is an easy-to-use survey panel that also is available in India. It works like a survey scanner, so once you log in, it scans for available surveys for you. If you do not qualify for one it will scan for another available survey. This means it gives access to quite a lot of surveys. It can, however, at times take a bit of patience to find the surveys you qualify for, so you just need to be aware of this. A great aspect of SurveyRewardz is that you can get your cash out already when you have earned $1 and you can get them out through PayPal, which it makes a fast way to get your rewards. Swagbucks is one of the most famous and biggest GPT sites in the world. It only available in select countries, and has most opportunities for English-speaking countries. What many people do not know is however that Swagbucks is also available in India. It does not give as many opportunities here as in other countries, and therefore it is not higher on the list of the best sites in India. But you can still earn some extra money by taking surveys, watching videos, taking offers, and more. If you want to get paid in gift cards, you can get paid already when you have earned $1, but if you want to get paid in cash through PayPal, you have to wait until you have earned $25, which is a high threshold compared to other sites. YouGov has panels in most of the world, including an Indian survey panel. You can only earn by doing surveys. The site is very easy to use, and you will get an email when there is an available survey. YouGov has a decent amount of surveys, and often with relevant topics. The rewards are average for the time spent compared to other survey sites. When you take surveys, you will get paid in points. In India these points can be exchanged to cash that will be send to you, once you have earned 5000 points ($50). PaymeDollar is a GPT site with several ways to earn. It is honestly not the best site in India, but it is legit and can be good to join as an extra site if you want to join as many as possible. You can earn by taking surveys, watch videos, take paid offers, participate in free contests, and more, and it has a pretty good amount of opportunities. The payout threshold is really good as you can get paid out through PayPal already when you have earned $1. Some of the other rewards require you to earn $5 to get paid. Mobrog has its own survey panel for India. It is easy to join and use. You can only earn by taking surveys, and you will receive an email invitation when there is a new survey available to you. You will not get a huge amount of surveys on Mobrog, and it can take a bit of patience to find the surveys you end up qualifying for. With some patience it can however still be a nice extra site to join, as it does not take long to check if you qualify for surveys or not, and because it is so easy to use. Mobrog offers to you in cash through PayPal or Skrill when you have earned $7. AdSitalSolution is available worldwide, but it is particularly interesting, if you live in India, as it was first of all created for India by an India man to give everyone here a chance to earn some extra money. You can earn by taking surveys, taking offers, clicking ads, watch videos, invite friends, and more. In the beginning, it can take a little time to learn to navigate on the site, but after a while, it has decent earning opportunities. In India, you can get paid directly to your bank account via NEFT & Paytm, or you can get paid via PayPal. TimeBucks is a site that offers much more than only paid surveys, and is a bit different from many other sites. What makes it different is that it has some opportunities to earn that I have not seen on other sites. Many of these are available no matter where you live, and therefore there are good opportunities for India as well. Some ways to earn are to do surveys, watch videos, watch online content, linking content on social media, following YouTube channels, and mining where you can make money just by having a tab open. The rewards are not huge for most offers, but many of them do also not take long. The big plus is that there are always opportunities to earn no matter where you live, and there are many fun ways to earn. You can get paid through PayPal and Bitcoin. Green Panthera is mostly a survey site, but it also has some online offers you can take. It in general has a decent amount of available surveys, and it is available in India. The rewards per survey are average for the time spent. The advantage of Green Panthera is that it has a specific platform just for India – the disadvantage is however that you have to be a bit patient, as it sends a lot of invitations to surveys you will not qualify for. But with a bit of patience, it can still be a site worth joining. The only way can get paid through PayPal, which is, in my opinion, is not a problem, as it is the easiest way to get paid in cash for surveys. The payout threshold is, however, a bit high, as you cannot get paid until you have earned $30. Triaba is not one of the sites with the most opportunities, but the opportunities that are there are decent, and the site has a specific site for India. You can only earn by doing surveys, but that also makes the site very easy to use. You will receive an email when there is a survey available for you. You will not get as many as on many other sites, but as it is very easy to use, it can still be worth signing up for as an extra site. Panel Station offers paid surveys through an easy-to-use app, so if you like to take surveys on the go in India, this might be a side for you. In addition to paid surveys, you can participate in the monthly sweepstake with the chance of winning great cash prizes. It will not give you a huge amount of surveys, so it is a good idea to also join other survey sites as well. You can get paid already when you have earned $5, and you can get paid through PayPal, Paytm, or choose between several gift cards. So there you have it – a list of the best paid survey sites in India. All of them are legit and free to join. Remember that to get the most earning opportunities, it is a good idea to join several sites. Also, this list will regularly be updated, so bookmark this page and check back in in a while to keep updated. Hope you will enjoy and benefit from joining the ones that sound relevant to you. If you know a site that you think belongs on the list, please feel free to let me know in a comment below. Also, feel free to drop a line, if you have any questions or comments. Hi Mikael, Just like AdsitalSolution, is there any legitimate survey site that originates within India? I live in India. I am looking at avoiding the extra expenses of PayPal and opt for direct NEFT credit or Paytm options. There are more sites that offer Paytm. I remember I have seen it for several sites but cannot remember all of them. But a site like Panel Station, for example, does offer it, and also the brand new panel called LifePoints Panel, which I will soon post a review about. These are the ones that just come to my mind. SURVEY MAY BE HOBBY FOR ME ! Thank you Mikael for giving seemless information on survey sites. Though doing survey is not my profession but I see in leisure time or when one cannot use creativity all the time, at that time resorting to survey or watching videos and earning some points and converting them into cash or rewards -what harms ? Absolutely thankful to Mikael and lets go some miles in this field of Survey. My heartiest best wishes and all new comers for starting survey as part time or one can take full time depend on choice thereby finding newscope of earning and shaping market and country for tomorrow. Thank you very much for the comment Damodar. Really glad to hear you like the info on my website. Yes, it is not very clear on PayPal what to choose. But you should choose the option called “For Shoppers” in India. This will make it possible for you to get an individual account so you can receive and send money online as well as shop online. The two other options are for businesses. Dear Mikael, Thanks for all the informations you have shared. I have already add the page to my home screen and join all the platforms you have mentioned here. I found you reply to each and every query that made me raise one hereby. I wish or need to earn at least a 1000$ per month to earn my living. What will be the strategy to reach it and how long it will take. Can I expect to earn the amount taking surveys consistently. Among the all you have mentioned, I am already in toluna and feature points. However find that they are increasing number of surveys over the time over a period of 1 month. How long it may take to reach to earn the amount and is these sites are ok to reach it or I need to join more sites? Hope you understand that I need a guideline to how to reach the earning without any investment at the fastest and what will be the strategy and action plan. If you kindly guide, please. First of all thanks for the feedback. Glad to hear you like the info. I am assuming you live in India since you are commenting on this article? Just want to make sure to give the best possible advice. If you live in India, I must be honest with you and say that you should not expect to be able to earn $1000 per month by taking surveys – in some countries, it can be possible but only in very few countries. With joining all of the sites on the list you will definitely be able to make some nice extra cash in India, but not that much, unfortunately. So if your goal is to make $1000+ per month online there are other options you should go for instead. However, making that kind of money online will require some time to learn some skills and built it up so the money will not come right away. And to get to that income and beyond online, you should be prepared to invest a little. Surveys can give you some great extra cash and what I love about this option is that you can get started right away and you will also start earning right away and without any costs at all. But it does also have its limitations in terms of earning potential compared to some other online earning methods that then require more time and has some investment. Just wanted to make that clear so you know what to expect and know what the opportunities, in general, are online. Hope this helps and feel free to ask if you have any other questions. I have used a number of different factors to rank them and have tried to rank them with the best options at the top of the list. I have among other things looked at the user experience, how many earning opportunities they have, how good support they offer, the payout methods and conditions, and more. It is, of course, difficult to make an exact list and there are also a lot of individual preferences in it as well. But I have done my best to create a ranked list with details so it should be easy to find the best options no matter your preferences. Can I earn around 150 dollars a month using 4 to 5 of the sites? Just asking for info. Will it be hard or easy to do? That should be possible to do from India. But I cannot guarantee it as it depends on your demographic profile, how active you are, etc. From India, it will take some effort and quite a few surveys, but impossible to say exactly how much work it would take. Some surveys give you several dollars for a fairly short survey, while others give a lot less. So it also depends on which surveys you are matched with. Hii, I am a bit confused so can you prefer me some site(s) by which I can earn about 250 dollars a month. I have a lot of time to spend but I can only use PayPal for now. I am a student. Please help me out. Thanks. The best sites for taking surveys in India are the ones mentioned above. To have a chance to earn what you are asking, you would need to join as many of them as possible. I can, however, not guarantee that you will then be able to make that amount on surveys in India. If paid surveys are the best option for you depends on your long-term goals and how quickly you want to get started earning. Paid surveys are an easy way to start and 100% free, but it will in general not be a way to make a full-time income. If you are going for a full-time income, you should look in other directions. Just wanted to make this clear so you do it with the right expectations. No Sir, I just want to buy something that costs around 250 dollars but as of now I cannot take loan and this is the easiest way to get that sum of money in the least time possible. Then I would suggest you to join as many of the sites as possible and also be patient to get to know each of the sites. Maybe start with 5-7 sites from the list and get to know them and their opportunities before joining more. I also regularly update the list, so if you bookmark it you will regularly be able to find new opportunities. Just be aware that I cannot guarantee you will be able to make that kind of money from India. You will be able to make some nice extra cash but I cannot make any precise promises about how much you can make, and it will take some patience and time to achieve want you wish from India with paid surveys – just so you go into with the right expectations. Also, I just want to recommend you to also check out Surveytime, which is a site I will soon put on the list as it gives good opportunities and good rewards. But just have not had the time to update the list yet, but it is a great site for you to check out. Feel free to keep me updated and just ask if you have any questions. Thank you for sharing these websites. Opinionbureau is one more website which will help you to earn small bucks. Thanks for the suggestion Ragha. I will check that out. I would suggest you to then join the three sites at the top of this list: Toluna, Viewfruit, and ClixSense. I had joined Adsitalsolution after finding it on the net, then read your review and started to work there. Took a while but made my first cash out in early jan. Like you said this site has bank transfer which is really nice – I hate waiting for paypal so many thanks, I’ll keep studying other sites too here. yes, now a days we find lots of cashback site mushrooming on the net. But according to sources from online search basically they claim these two Cash back site like TopCashback and Ebate to be legit with more back offer compare to others, and if I join these site without proper research it would be useless and I am from India. Would be very happy to know more from you if you have included research for these cashback site suitable for Indians specially ‘Ebate’. Thanks. I will be doing more research and testing of cashback sites in the future, but right now I cannot tell you much. Ebates is, as far as I am aware, a completely legit option, but as I also mentioned in the previous message, I am pretty sure it is not offering opportunities for India unfortunately. Sorry that I cannot say more yet, but as mentioned I have not tested the sites you are asking about yet. SurveyRewardz and YouGov are great and I have been paid by both of them several times. I would, however, not use Survey Club as it is a waste of time in my opinion. You can check out my full review of Survey Club to see why I advise people to stay away from it. If you have any technical issues like this, I would suggest you to write directly to ClixSense’s support. They are usually fast at getting back to you. First of all thank u for your previous suggestion and quick response. Want to know which Online Cash back site is best for Indians? And what about ‘Ebates’? Will it be suitable for Indians? Please suggest. Thanks. You are welcome Khim. Glad I could help. Hope everything worked out with ClixSense? About cashback sites for India, I am not sure. I have not tested many cashback sites yet unless they are also offering paid surveys and other earning opportunities. But Swagbucks has quite a lot of cashback options, but not sure how many it has in India. I will be testing more cashback sites in the future but for now, I can unfortunately not come up with more suggestions. About Ebates, then it is not available in India as far as I know. Or you might be able to join, but as far as I am aware it will not offer any opportunities here. Sir if i can join only 5 sites and spend 1 hour daily which would you recommend? If you live in India, I would suggest you to start at the top of this list and join the top 5 sites. Just first make sure they offer the type of payout you prefer. If not, then move on to the next on the list. I don’t want to do tasks. I just want to go with survey. Now which site I should prefer? I would then definitely suggest you to join Toluna, Viewfruit, and OpinionWorld. ClixSense could also be a good option. And then if you want to join more sites that only focus on surveys, YouGov and Triaba could also be good options. It was really very helpful. thanks a lot Mikael. Do me one more favour and please write an article on how to start a blog. I actually already have written an article about that but just on another website that is about internet marketing. You can read the article about creating a blog here if you want to know more about that topic. Due to my D.O.B error, I’m facing difficulties to log in for Clixsense site. They ask me to upload an image holding an id card along with my face to reset again – would it be right options or is there any other options plz suggest me? If that is what ClixSense suggests to solve the issue, I would do it. I have had to do this on other platforms before as they need to make sure people are real people. But I would of course only do it on platforms I know are trustworthy. And ClixSense is a legit site, so I would not worry. If you want to be a member of it, it seems this is what you have to do to get the D.O.B. corrected. I am not sure you can do it with surveys alone in India, as it depends a lot on how many surveys you qualify for, and that depends on the surveys that are available on any given day. But if you use some of the other earning methods many of the sites offer as well, my guess is you have a good chance. But I cannot guarantee it as mentioned. In addition to the sites on this list, you can also check out Superpay.me and SurveyRewardz, as they pay out very quickly (already when you have earned $1). You can also check AdSitalSolutions which is a site with good opportunities for India. On the list above PrizeRebel is one of the sites that pay the fastest (already when you have earned $5 and usually the same day as you request a payout). Toluna should have a good amount of available surveys, but here you just have to be prepared to wait a little longer to get the money. Hope this helps and let me know, if you have any questions. Rahi I am having the same need and so can you please help me if you get any information. are there sites which pay directly through bank transfer in india? i mean any gpt,survey or microjob site? Yes, you can get paid this way on AdSitalSolution. I just recently reviewed it, and that is why it is not on this top list yet. But will put it on here soon. But you can check out my review of AdSitalSolution here to see more about what it offers. Sir paypal and payonneer requires purpose code. Which one i should use? I am not sure Avinash. As far as I am aware, you just need to chose the one that fits the best for the purpose. I believe there is an option on PayPal to for example choose “market research and public opinion polling service” – I think I would go for that one. But this is just my suggestion. If you have doubts, you can also try to reach out to PayPal and Payoneer’s support and ask them. You can also check out this article I found about PayPal purpose code in India. Please let us know what are the further steps. Thanks for letting me know about your survey site. It is always nice to hear about new sites. I will test the site as soon as I get the time. I have also sent you an email with a few questions about the site. I have tried to contact GoWeb Surveys, but no answer from them for months – so that is why the site is also not on my list of the best sites. I would suggest to join other sites instead, as it seems GoWeb does not give many opportunities. After reading you review I decided to join yougov but in India they only pay through cash(western union) so do I need to provide them my any ID proof at the time of withdrawal. Hope you are enjoying YouGov. I am not sure, if you need ID when getting your cash. It depends on Western Union’s rules in India, and how YouGov transfers money through them, and I am not sure about this. I would suggest you to contact YouGov India’s support and check. And feel free to come back here and keep me updated how it goes. I am from India. I am a house wife, and I am very much interested in doing work from home so please can you tell me the best online paid surveys in India? The list above are the best survey sites for India. So read the small summaries to see which sites sound the most interesting to you. All you then need to do is to click the join button. You will then be taken to the sign up page on the panel you want to join. After you sign up, you will get access to the surveys. Hope this helps and let me know, if you need any help or have any questions. Hi, you should try opinionnow.in panel. The survey frequency is really good and they have Paytm and many other rewards option. I recently redeemed my rewards and the payout was done in just 2 days. Thanks for the tip Ameya. I will check out the site. About not qualifying for surveys, please check the answer I gave you for this question yesterday. For the other question: No, you do not have to participate in the tasks on ClixSense to get paid. You can just do the surveys and offers. It is completely up to you. Hi you should add AdSitalSolution to the list, Indians get many daily surveys, and many other ways to earn to. Even global members can get lots of surveys and many ways to earn for them. Thanks for the tip Siddhesh. I will check it out and potentially put it on the list, after I have tested it. I have a question – why have you not added paidviewpoint in the list of top 10 survey sites in India? What’s your views/opinion on paidviewpoint? I think PaidViewpoint is a great site. The reason it is not of the list of the best sites in India is that I have been told by PaidViewpoint itself that there are not many opportunities in other countries than English-speaking countries, so it for example in India would potentially take years to reach the payout threshold. So that is why it is not on the list for India even though it is a great site. But do you have other experiences with it and have had good results in India with it? Because then it would be great to hear about your experiences. Can neobux be relied upon for earning money in india ? You can earn a little extra on Neobux in India. Personally, it is not a site I am too excited about, but with some patience it can give you a little extra earnings. Thanks for providing such great information about survey sites and recently you have found joining invitation for Pinecone research for UK and Canada – can you please find one such link for India. Thanks for the feedback. Really glad to hear you like my website and the info here. Yes I recently got PineCone Research invitations for UK, CA, US, Germany, and France. Would be great to get for more countries including India. I will look into it, and see what I can do and then get back to you. Mikael can you suggest best PTC/BTC Sites for India. I in general do not like PTC sites too much, so I have not tested a lot of them. Maybe something I will start testing more later. But I know one of the popular PTC sites, where you can also take surveys is Neobux. Maybe that one will be good for you. Thank you so much for including Toluna in your Top Survey Sites list! We appreciate this shout out and we’re so happy you love our site. Thanks for leaving a comment. Great site you have. Some great survey panels that are available in UAE are GlobalTestMarket, ClixSense, Toluna, Superpay.me, and PrizeRebel. On all survey sites it will sometimes happen you do not qualify. If the ones you have tried so far do not give good options for you, I would suggest you to join some of the other sites available. The list above shows the best options for India and it is regularly updated. I found your site very useful. You provide enough details about survey sites. One day I read your article about ClixSense and I joined it and I found it very grateful. Within one hour after joining I earned $2 and there are really a great amount of surveys available per day – approximately 30 to 40 surveys excluding the surveys that are provided by their third parties. But one day when I was checking my profile, I found my Date of birth was wrong and some other information, so unfortunately I have to leave the site because they are not providing second chance to correct it. So I want to know are there any other sites just like clixsense. Please let me know. Thanks for the feedback. Glad to hear you find my website useful. As for correcting your info on ClixSense, have you tried to contact their support? I have had to correct some info that I did not have access to correcting, and when I contacted them, they helped me very quickly. So if you have not already done it, I would advise you to contact ClixSense’s support and explain the situation for them. Other than that, there are some other great sites on this list you can join – with what you are asking for, I would especially suggest you to join Toluna and PrizeRebel. And also potentially Triaba and YouGov, even though they give fewer options. Timebucks gives a lot of daily opportunities – many of them do not pay so well, but you can always find a way to earn there, so it might also be worth trying out for you. Hope this helps, and let me know, if you have any other questions. This is really cool. I am a full-time college student and it is a struggle, especially with money. Books and classes just drains my check as soon as I get it. So I am just searching the internet where I can find some ways to make a passive income. I have heard and seen the commercials about these paid surveys but never actually looked into it. I am surely interested, which one do you like best? Great article, exactly what I was looking for. Thanks for the feedback Garrett. Glad you like the info. If you live in India, the sites on the list above are the ones I have found out should give the best opportunities. You can also check my list of the best survey sites for college students that will give a few other suggestions. The reason that the lists are a bit different are that which ones offer the best opportunities depends a lot on where you live and your general profil. Mikael; You have said a lot about taking Survey and it is a fact that one’s geographical location has a lot to do with taking survey. Among the companies that you can recommend to the public does any one of them give to any one person enough survey for the month that one can make a living from? Thanks for your comment DorcasW. Sorry to hear ClixSense does not have surveys in your country. Be aware, as I write, that it also have other options in case surveys are not available. In general no matter where you live and how good survey sites you join, you will not be able to make a living from it. It can give some good extra money on the side, but it will not make you rich. If a site promises it can make you rich on surveys, you should stay away from it – usually the only sites that claim this are scam sites that try to get money from you instead of helping you to make money. Do you mean FeaturePoints? If that is the platform, I am actually just testing it myself at the moment and will soon post a review about it. But in short – then yes, it is legit as far as I can tell from what I have tested so far. Thank u for ur quick response love ur site. If you have made any kind of mistake when you signed up for ClixSense, I would suggest you to contact their support. They are usually very helpful and give a fast answer.